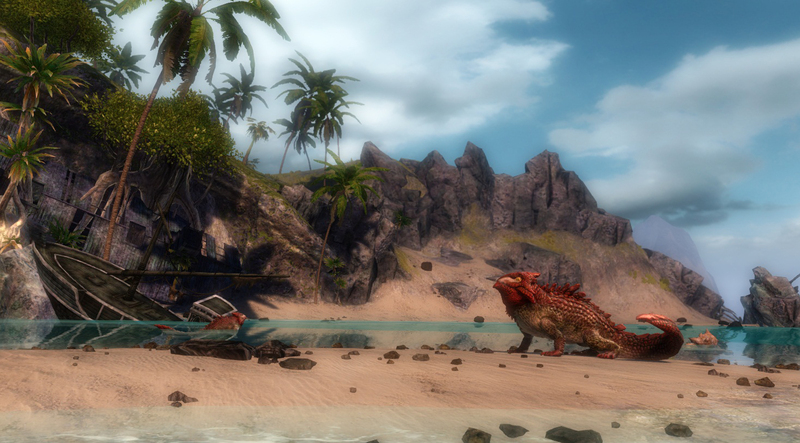 Roughly three months after the game launched, Guild Wars 2 is set to receive its first major, world-changing update; The Lost Shores. Unlike the Halloween event, this update will leave a permanent mark on the world of Tyria. Players will be welcomed into the new mini-expansion with the scripted events happening each day on the 16th, 17th and 18th of November at 12:00 pm PST (20:00 GMT). During this time the servers will be opened up to trial accounts, allowing every player to invite three friends to play with them over the weekend. All players will also be scaled up to lv80 during the events and while exploring the new zone to allow trial members to play with their friends. 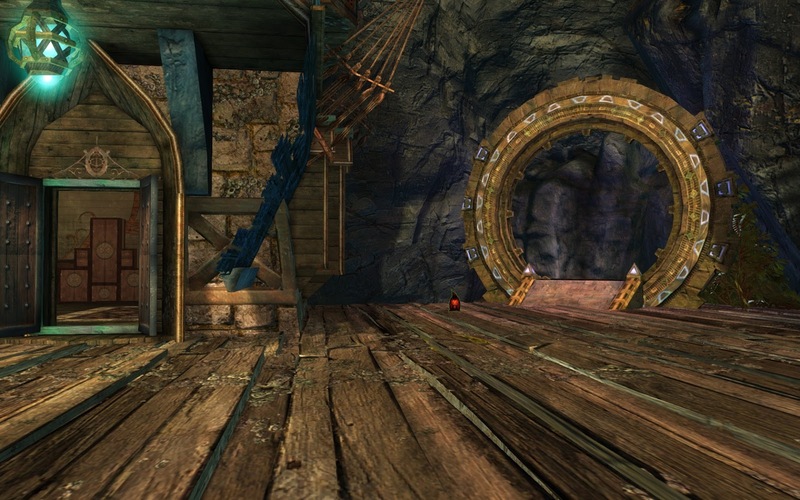 Players will need to defend the city of Lions Arch from the Karka, a new amphibious race, and as the weekend-long event progresses, push them back into the new island zone, Southsun Cove, where they will find many new dynamic events and challenges to complete, including a whole new dungeon; Fractals of the Mists. In this dungeon players will fight bosses to collect a new tier of gear called Ascended. This artefact gear is graded above exotic, yet below legendary. All legendary items in the game will be getting a bonus to their stats in order to match the new tier of gear, which might for once make the legendary weapons worth getting. Not interested in the legendary weapons, yet want your gear to look amazing? The Black Lion company is releasing a new set of weapon skins through their gemstore for players to purchase over the weekend. Some might think it unfortunate, but this patch is set to begin Arenanet's first forays into an item progression system, which is strange, considering they were always against it in the past. Personally, I'm happy they have decided to take this direction. To me it means there will be much more to do at endgame, because honestly, I was done with all the PvE content about two weeks after it was released. This shift in direction gets two thumbs up from me. 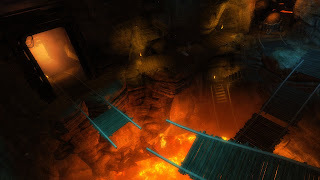 For those of you who would prefer to PvP in the Mists instead of following the event, you will be treated to a new PvP map; The Temple of the Silent Storm. Be aware though, the map is still in beta stages and may be subject to change - it might also be buggy still. Either way, it will make a fresh change to those maps I'm sure you're all tired of doing over and over again. The trial starts in two days (15th Nov), and I will be there bright and early on the 16th to take part in this world-changing event. I hope to see you all ingame. So with that I leave you with the promo trailer released yesterday by Arenanet's offical youtube channel. Enjoy. Pictures courtesy of the offical Guild Wars 2 page. UPDATES: 15/11/2012: After the release of the final patch before the event, activity has been increasing along the shorelines of Lions Arch. The Consortium is making its play, announcing the coming of a new resort destination to be found through their new Asura Gate. We can expect the gate to be active at stage two of the weekend long event. The harbour has received a new PoI addition, Malcha's Landing, along with the Consortium on the southern short of Lions Arch. There is now an orange star on the Lions Arch map signifying where the event is to start. Once again in the Grand Plaza. Along with this news is a collection of new NPCs, including a Consortium Gift Shop, but so far it appears they have nothing for sale, yet. Stay tuned at the new PoI in Lions Arch for more gifts and rewards to be discovered in the coming days. I'm off to investigate the mentioned changes made to the Shatterer event. Will report back with all the juicy details.